Small, straightforward and near net zero, this tiny home easily takes the place of larger living quarters. Owners of the Strickland Residence in Oak Harbor, Wash., may one day build their oversized dream home. 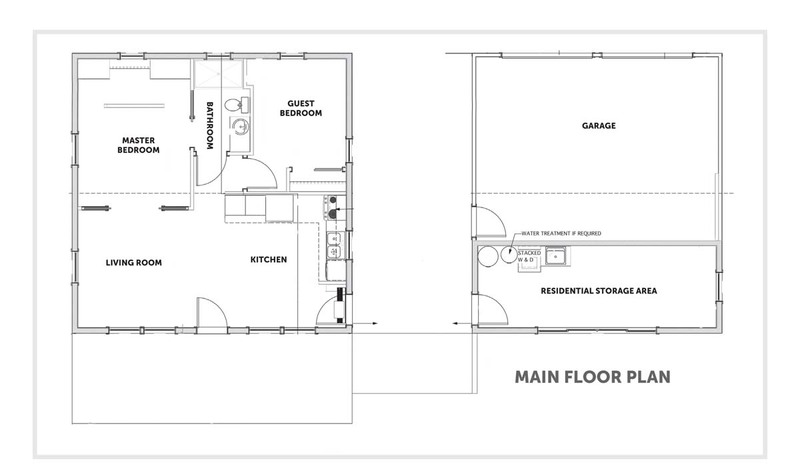 Or maybe not: At the moment, the 784-square-foot, two-bedroom “guest quarters” more than meets their needs. Number one on the “must-have” list was zero energy performance. 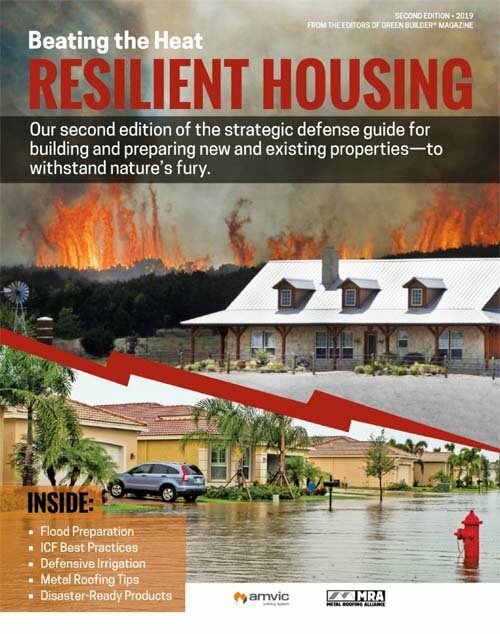 For Clifton, that meant including structured insulated panels (SIPs)—Premier Building Systems Neopor 6-1/2-inches thick in the walls, 10-1/4 inches in the roof—for maximum performance. 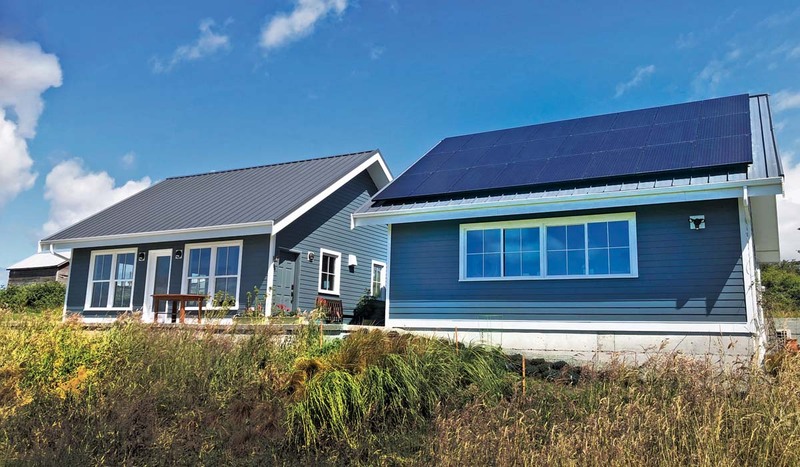 In general, the home was designed with SIPs in mind: The heights of walls, pitch of the roof, and spans of roof SIPs were all optimized for passive solar gains and active PV system exposure, Clifton notes. 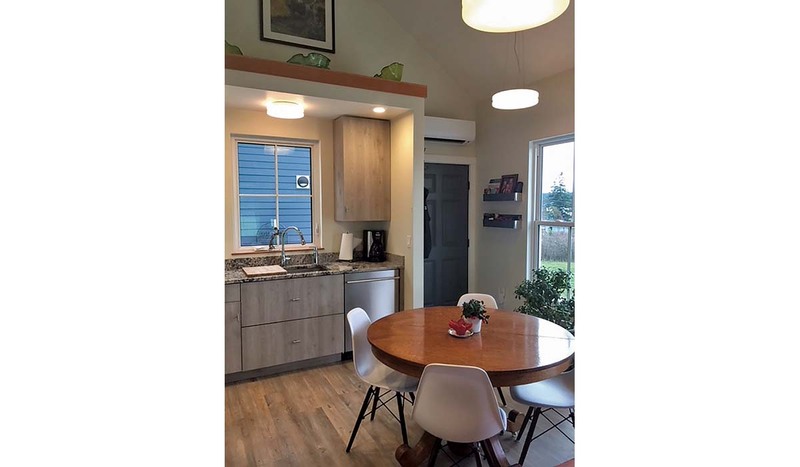 Name: Strickland Residence, Oak Harbor, Wash.
Cathedral ceilings give the tiny house a larger-than-life feel, but not a larger-than-tolerable energy bill. Builders dropped an eight-foot ceiling over the bathroom, resulting in a large attic space suitable for air-handling equipment and extra storage space for the owners. A Fujitsu single-head ductless heat pump, located above the entry door in the great room, easily heats the entire unit, with the bedrooms remaining just a couple of degrees below the main living area. Other temperature control aids include Vinyltek Boreal 6000 triple-glazed windows, with U-values ranging from 0.16 to 0.21, depending on the type and size of window. Also, 4-inch (R-20) foam insulation was used under the entire slab, and 2-inch (R-10) perimeter insulation isolates the earth under the house from the surrounding surface air temperatures. The power-saving parade goes on: All lighting is 100 percent LED. All appliances are Energy Star certified. 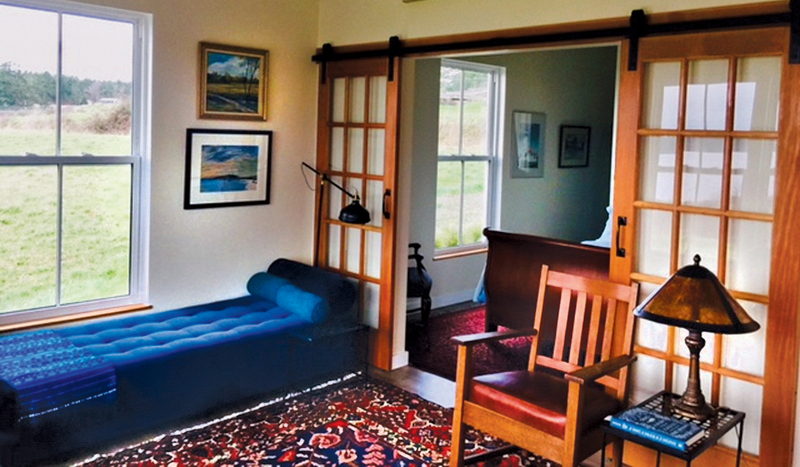 Passive solar was designed in, with the south-facing windows optimized for passive solar gains. The 6.3-kW Itek solar array provides power for the house, and charges an electric car for about 5,700 miles per year. Summer cooling is managed by the thermal mass slab, and generous roof overhangs limit the ability of the summer sun to penetrate the high-solar heat gain windows. The windows provide much of the required heating during the winter months. The owners sought out and purchased a recycled door package of Codel and Masonite products for all interior doors. One hundred percent of the Sherwin-Williams paint and adhesives used were zero-volatile organic compound (VOC) products. The landscaping was 100 percent native species, in keeping with the requirements of the Ebey’s Prairie National Historical Reserve. Automotive (Electric Car Charging, Etc. ): 6.3-kW solar array. Building Envelope: SIPs 6.5-inch wall and 10.25-inch roof panels; 4-inch (R-20) foam insulation under the entire floor slab. Electrical: All lighting is 100 percent LED. All appliances are Energy Star certified. A 6.3-kW solar array is installed. Landscaping: 100 percent native species, conforming to Ebey’s Prairie National Historical Reserve requirements. Renewable Energy Systems (Solar, Wind, Etc. ): A 6.3-kW solar array provides power the house and electric car. Carefully crafted doors inside the home are recycled from other projects. 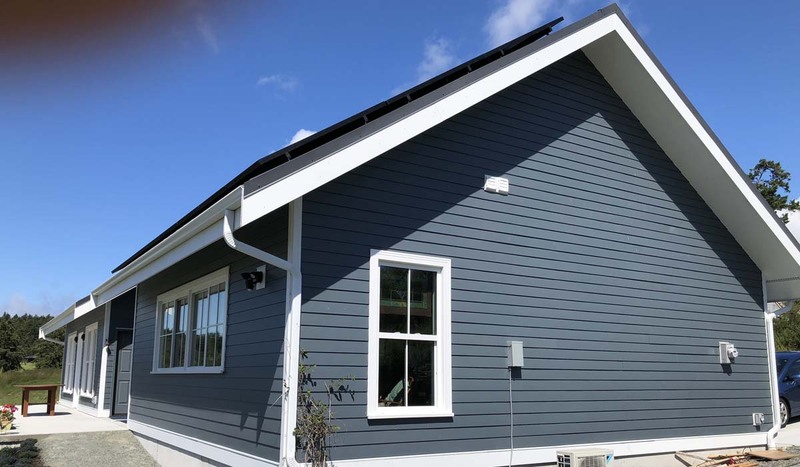 A Fujitsu single-head ductless heat pump above the entry door easily heats the entire unit; Energy Star-rated appliances are installed throughout the home; and Snap-together laminate flooring eliminates the need for VOC-releasing glues.